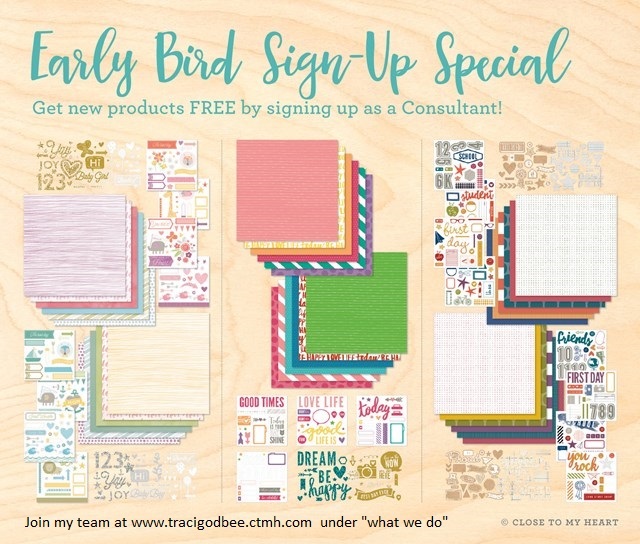 Create with Traci: Early Bird Special! 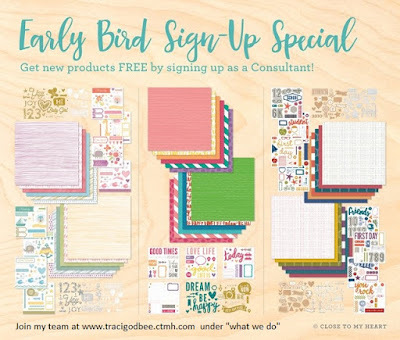 New Consultants who sign up on my team during July will receive their choice of a new Fundamental paper packet* bundled together with its coordinating Complements FREE—and that’s in addition to the $50 in Select Product Credit you get for signing up! This Early Bird Special is an excellent opportunity for those that simply can’t wait to get their hands on the exciting new products coming in the Annual Inspirations 2016–2017 idea book. *Choose from Whimsy, Adventure, and Enchantment Fundamentals. No tax is charged for free items. Standard New Consultant Kit shipping rates will apply. 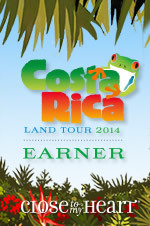 No additional shipping/handling will be charged for this promotion. Dates: Offer valid July 1, 2016 (9:00 am MDT) – July 31, 2016 (11:59 pm MDT). AND here's a peek at the new consultant kit you'll be receiving! Once you sign up- and receive your welcome email, you'll be able to place your first order and choose $50 in FREE select product! PLUS the entire $50 can be spent on NEW items that you can't purchase as a customer until AUGUST 1!